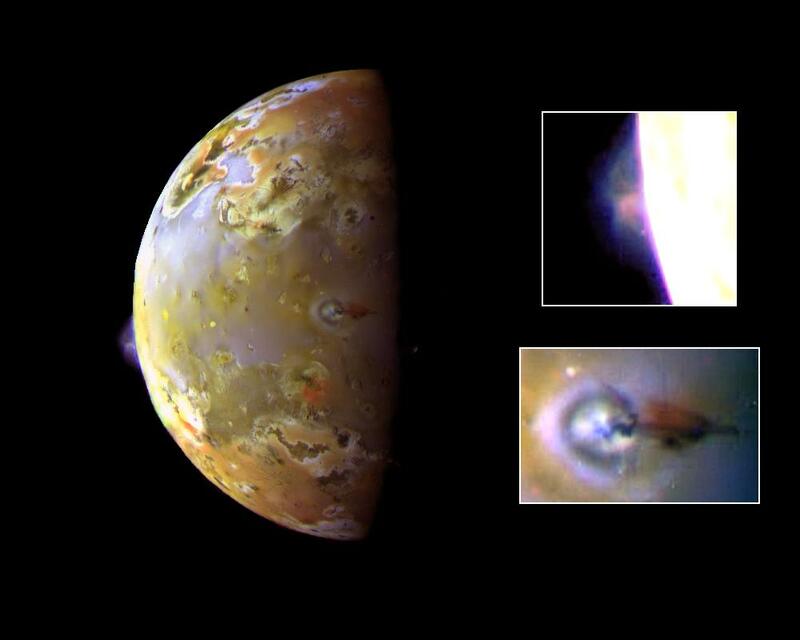 Explanation: Two sulfurous eruptions are visible on Jupiter's volcanic moon Io in this color composite Galileo image. 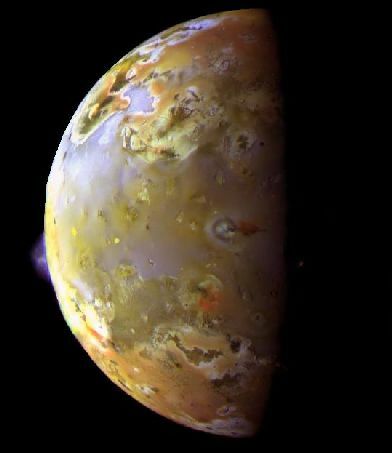 On the left, over Io's limb, a new bluish plume rises about 86 miles above the surface of a volcanic caldera known as Pillan Patera. In the middle of the image, near the night/day shadow line, the ring shaped Prometheus plume is seen rising 45 miles above Io while casting a shadow to the right of the volcanic vent. Named for the Greek god who gave mortals fire, the Prometheus plume is visible in every image ever made of the region dating back to the Voyager flybys of 1979 - presenting the possibility that this plume has been continuously active for at least 18 years. This image was recorded in 1997 on June 28 at a distance of 372,000 miles.